Kiradech Aphibarnrat is a cult hero within golf — "Asia's John Daly," as he's been titled. The World No. 37's career has been on a continual uptick in recent years (he's now won four times on the European Tour), an ascent he attributes to hard work. He reminded everybody of that fact last week. On his official Instagram account, he snapped a few pictures of his irons featuring a perfect wear spot right in the center of his clubs. Seriously though, #goals. https://www.instagram.com/p/Bog7yttFgTg/ Many people who see Aphibarnrat's swing often get distracted by its more powerful elements, like the length of his backswing and the lag on his downswing. What's often overlooked is that Kiradech gets in a lot of really textbook positions along the way. 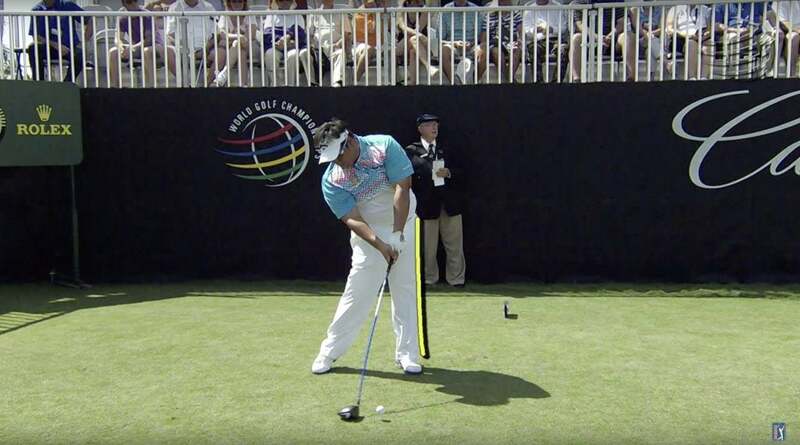 Below, for example, is his impact position. His weight has shifted, his left leg has posted, his upper body tilted, and his arms swinging through squarely and freely.